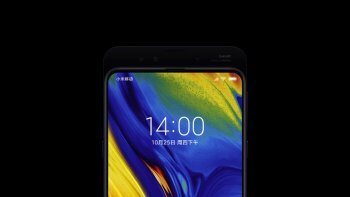 The Xiaomi Mi Mix 3 is a unique manual slider with no single notch at the top, it is best described as a futuristic phone that is heading for the future. 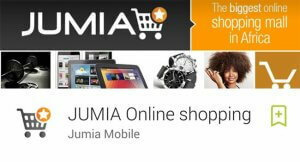 If you have used a slider phone in Nigeria before, you can only imagine how this got reinvented. Just slide the Xiaomi Mi Mix 3 downward and you will see yourself. In a bid to do away with the notch at the top, many smartphone makers have tried using different methods, styles and techniques. 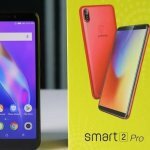 Majority have tried using software techniques to achieve this results but Xiaomi thinks the manual technique is the best. Somehow some way they have been able to proven their points. 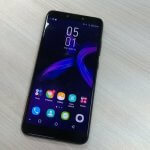 The Xiaomi Mi Mix 3 is a unique smartphone that was made to compete with top flagship phones in Nigeria but is it actually in the competition? Dimension: 157.9 x 74.7 x 8.5mm. 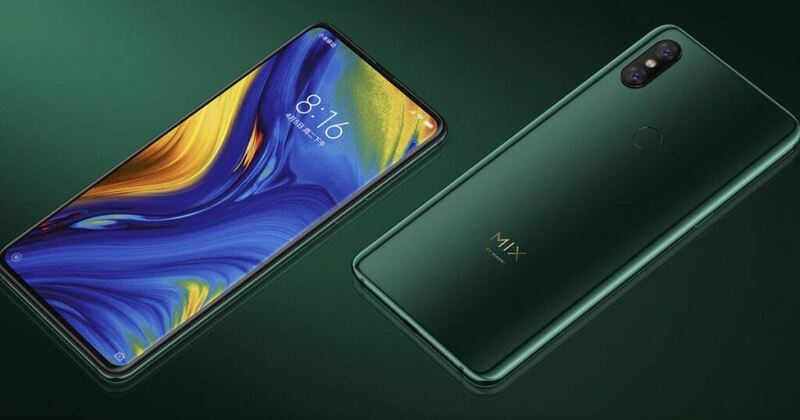 In Nigeria, the Xiaomi Mi Mix 3 price starts at 173,000 naira, the Xiaomi Mi Mix 3 is available in Jade Green, Sapphire Blue and Onyx Black. 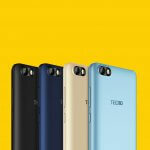 There is also a Forbidden City Blue color that is exclusive to the 10 GB RAM configuration. The Xiaomi Mi Mix 3 have a design that looks very unique, the absence of the popular notch at the top makes this smartphone a gadget of envy. With the introduction of the sliding techniques on this phone, Xiaomi have been able to successfully hide the front-facing cameras and LED flash. You only get to see the front-facing camera when you want to use it. Just slide the Xiaomi Mi Mix 3 downward and the camera app will show up. When you slide the slider, you will notice that there are two earpiece grill at both parts of the phone. Don’t be deceived, the real one is the one that is placed at the bottom. At the back of the Xiaomi Mi Mix 3, there is a fingerprint reader that is placed slightly above the center. There is also a camera shooter that sits at the top left corner of the phone. As expected, the volume rocker and power button are placed on the usual top right edge of the phone. The Xiaomi Mi Mix 3 is of portable size, it weighs only 218 grams. On the Xiaomi Mi Mix 3 is a 6.3 inch full HD+ super AMOLED magnetic sliding display. This display comes with a multi touch capacitive touchscreen and has up to 16 million colors. 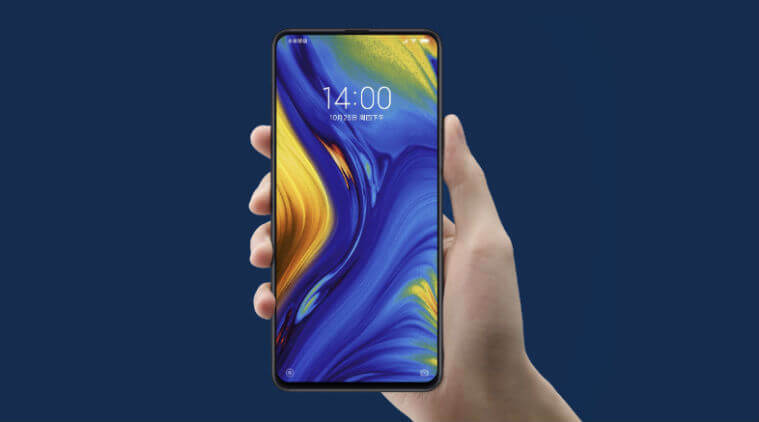 After substituting the notch for a unique slider, Xiaomi was able to achieve up to 93.4% screen to body ratio, 19.5:9 aspect ratio and 403 ppi density on the Xiaomi Mi Mix 3. Aside using the manual slider to activate the camera app, the manual slider can also be customized to suite your lifestyle. You can use the slider to activate so many things. With the manual slider, you can take selfie, answer phone calls and even render some shortcuts like check weather, open recorder or reply text in Nigeria. If you want to go the extra mile in Nigeria, you can even customize the slider to launch your favorite mobile app like WhatsApp or Facebook. The Xiaomi Mi Mix 3 rocks a non-removable 3500mAh battery that is long-lasting. 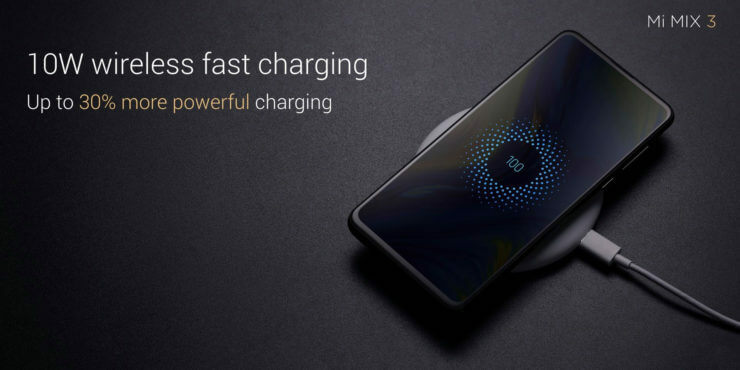 There is QI wireless and fast charging with 10W support. Xiaomi even went as far as putting a wireless pad inside the box. So you don’t have to worry about recharging anytime your battery runs down. This is the most interesting part of the phone. This is why the slider even exist in the first place. Simply slide the Xiaomi Mi Mix 3 downward and the front-facing camera pops-up. On the slider are two dual 24MP + 2MP front-facing cameras. The 24MP is the actual camera with f/2.2 aperture while the 2MP is the depth sensor. 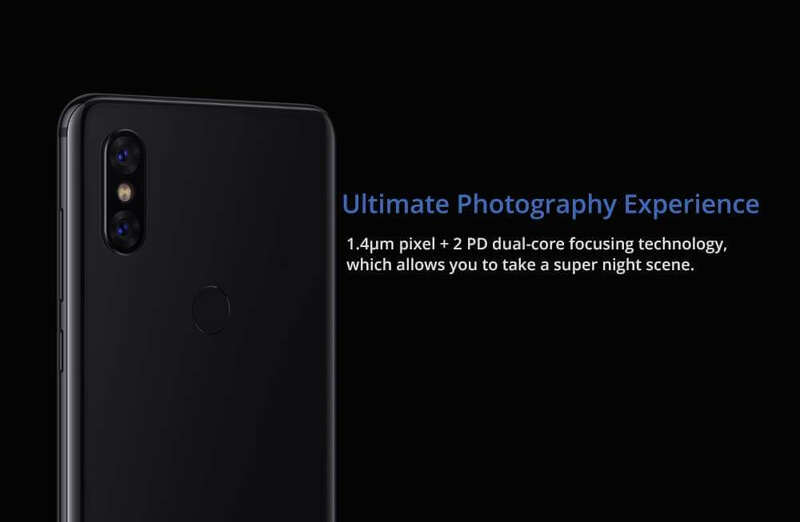 At the rear are two dual 12MP with f/1.8 aperture on the Xiaomi Mi Mix 3. The first is for wide-angle while the second is for telephoto. The Xiaomi Mi Mix 3 can take stunning photos in any lighting condition. There is even a LED flash on the slider that helps in taking low-light selfie shots. If you care about AI on a camera, the Xiaomi Mi Mix 3 camera has it in abundance. On the camera; there is AI scene detection, AI dynamic bokeh, AI studio lighting, AI makeup and lots more. For those who have fallen in love with slow motion video recording in Nigeria, the Xiaomi Mi Mix 3 will make slow motion video for you at 960 fps. 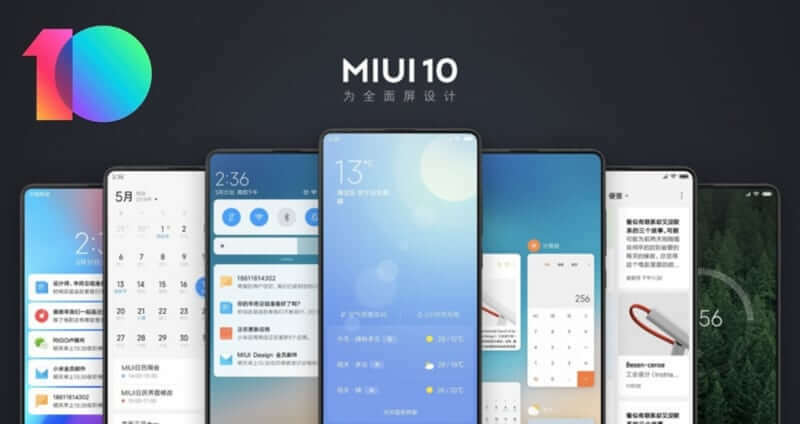 On the software scene is an already installed MIUI 10 user interface that is based on Google’s new Android 9.0 pie operating system. The Xiaomi MIUI 10 user interfaces is well redefined, cleaned up and easy to operate. You won’t encounter any issues when getting yourself acquainted with the phone. It is sad to say this; there is no face ID feature on the Xiaomi Mi Mix 3 but thank God Xiaomi promised to ship this feature later via software updates in some countries. When it comes to numbers, the Xiaomi Mi Mix 3 has some good scores. On the smartphone is a Qualcomm Snapdragon 845 chipset with adreno 630 GPU. The Xiaomi Mi Mix 3 comes in two configuration from which you can choose from; 6GB or 8GB RAM and 128GB or 256GB ROM but with no micro SD card slot. The Xiaomi Mi Mix 3 is an affordable flagship phone that is unique in its making. The notch avoidance technique implemented on the Xiaomi Mi Mix 3 is a brilliant one. The Brains behind the idea really deserve an award. Considering the fact that the slider works manually, there is more guarantee it will work often as compared to the techniques that is enabled by software. Having spoken at length about the interesting part of this phone, the Xiaomi Mi Mix 3 just like any other smartphone has some weak spots. There is no IP rating on the Xiaomi Mi Mix 3. What if sand or dust gets into the slider? The Xiaomi Mi Mix 3 is a bit thick and heavy. You should be ready to tighten up your belt when this phone stays inside your pocket. The Xiaomi Mi Mix 3 has a slippery back, it may not survive heavy falls. You might just need a case to prevent it from falling off your hand. The sad and most annoying thing about the Xiaomi MI Mix 3 is the absence of face ID. In a world were face ID is the new era Xiaomi forgot to include this feature on her flagship. Mi global however promise to validate this feature on a later date via software updates but until then, one have to deal with the absence of now. between usability and appearance. I must say that you’ve done a excellent job with this. Can I just say what a aid to search out somebody who truly is aware of what theyre speaking about on the internet. You positively know easy methods to convey a difficulty to light and make it important. More individuals need to learn this and understand this facet of the story. I cant believe youre not more fashionable since you positively have the gift.